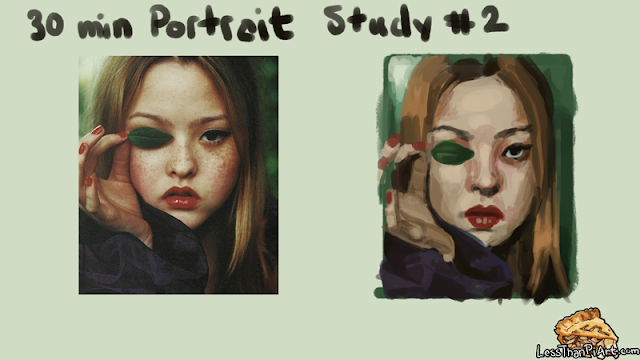 The Second 30 minute study! Trying to jam the hand in there took almost as much time as the face. once I'ma little more confident with faces I'll definitely need to do more hands. but for now we focus on the goal at hand! Keep reading for a self critique! -Caught myself a few time but I'm not drawing from the reference I'm using my imagination too much. CUT IT OUT MAH DUDE! -Get all of the planes of the face down before you start detailing.